Left to right and then down. All the pictures are clickable to a bigger size. 1: Bandhukunda is a large pond of clear water located on the northeast of the Sri-Angan Ashram presently outside the brick wall that surrounds the premises of Sri-Angan. Prabhu Jagadbandhu used to be seen floating in his 'lotus-seat' position in this pond once in a while. 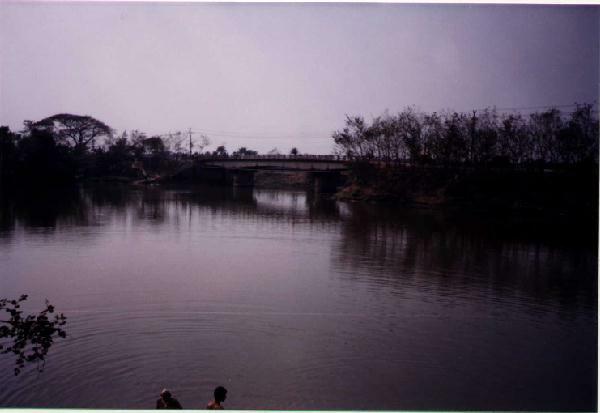 Bandhukunda extends to the other side of the Jessore Road Highway through the bridge inlet as can be seen in the picture. 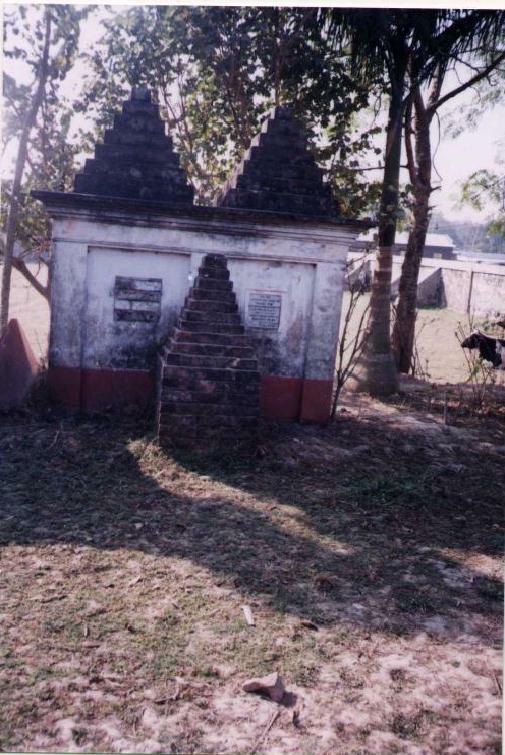 2: The samadhi (grave) place of Bakulal Biswas, Bandhusundar's close associate and friend and a district magistrate. It is located to the north of the cow-shed and behind it. 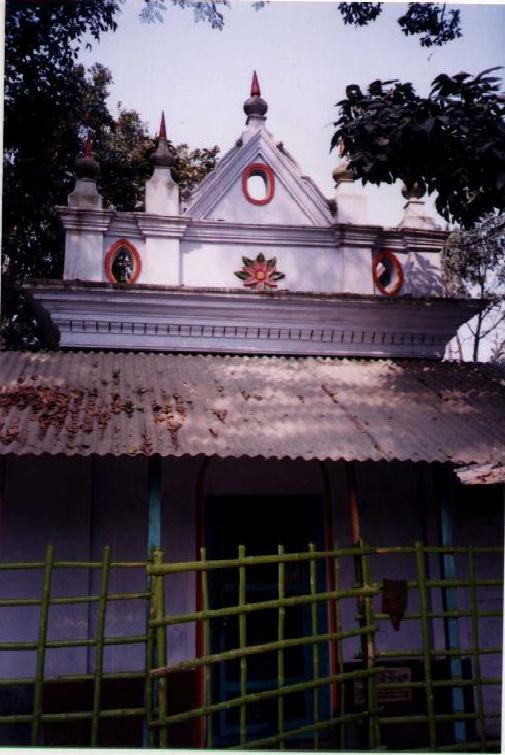 Bakulal Biswas aspired to be buried in Sri-Angan and so he was. 3: Digambari Temple - located past the guest houses to the southern end and in front of the pond located inside the Sri-Angan premises. Digambari Devi's daughter Kshiroda Devi (wife of Atul Champati) looked after Bandhusundar in his childhood.